The Ramotshere Moiloa Local Municipality has welcomed two new Proportional Representative Councillors into its council. 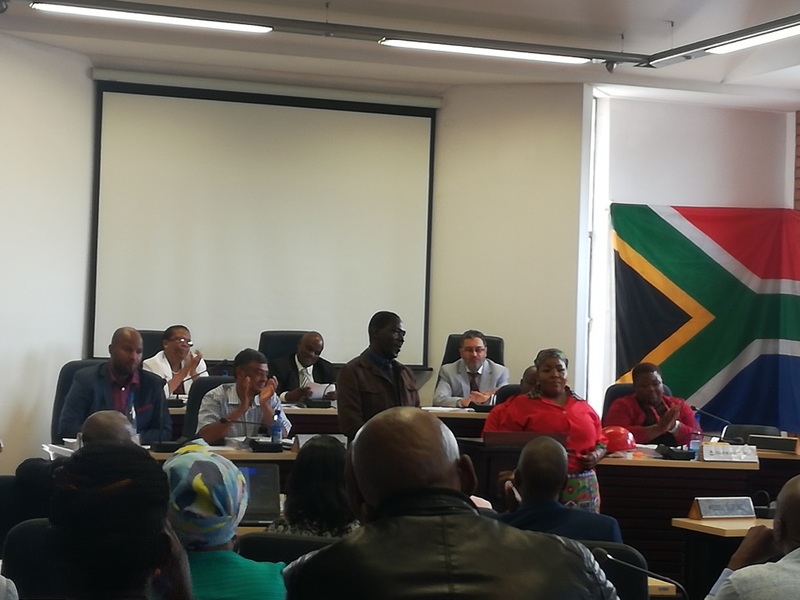 The two who were introduced during the ordinary council meeting have been deployed by their political parties; Economic Freedom Fighters (EFF) and Working Together Political Party (WTPP). This follows after the municipality experienced two unfortunate deaths of two councillors who were serving in the council during the months of June and November 2017. The vacancies were duly declared by the Municipal Manager with the Independent Electoral Commission (IEC). The political parties had to replace them as prescribed in item 18 of Schedule 1 of the Municipal Structures Act No. 117 of 1998. Members of the opposition parties including the African National Congress (ANC), Agang SA, Are Ageng Afrika and the Democratic Alliance have welcomed the new councillors and promised to work together with them to take the municipality to greater heights. Councillor Tiro Moiloa who is the Speaker of the Council welcomed the councillors and reminded them that they should not forget the reason they have been deployed to council. “ On behalf of the Ramotshere Moiloa Council, I am welcoming you to this house and would urge you to participate in all council engagements without failure or hesitation in order to carry forward the mandate of your respective political parties”, said Tiro Moiloa.